Cloud Haven is an upscale 1 bedroom apartment with a full bath, located on the lower level of a beautifully landscaped residential home. The apartment features a railroad theme throughout. The large open living, kitchen and dining area opens to the outdoor living space and wooded views. The Junction Depot was built to replicate a railroad depot. 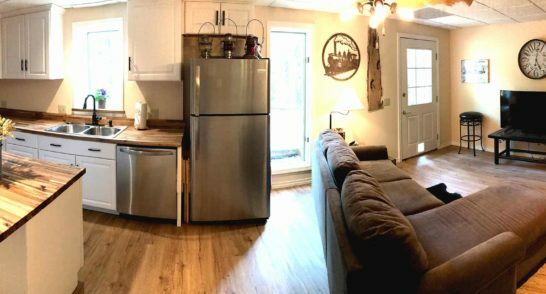 The “Depot” offers a full kitchen, dining area, and living room with a pull out couch and a cozy fireplace. 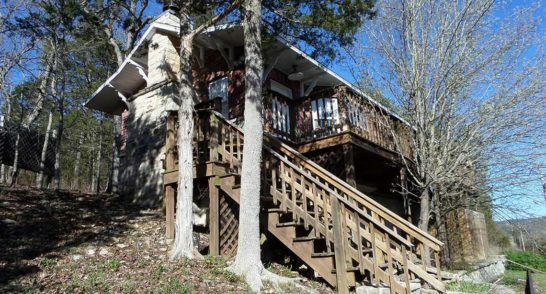 Very secluded and private, with wooded views and its own private drive.